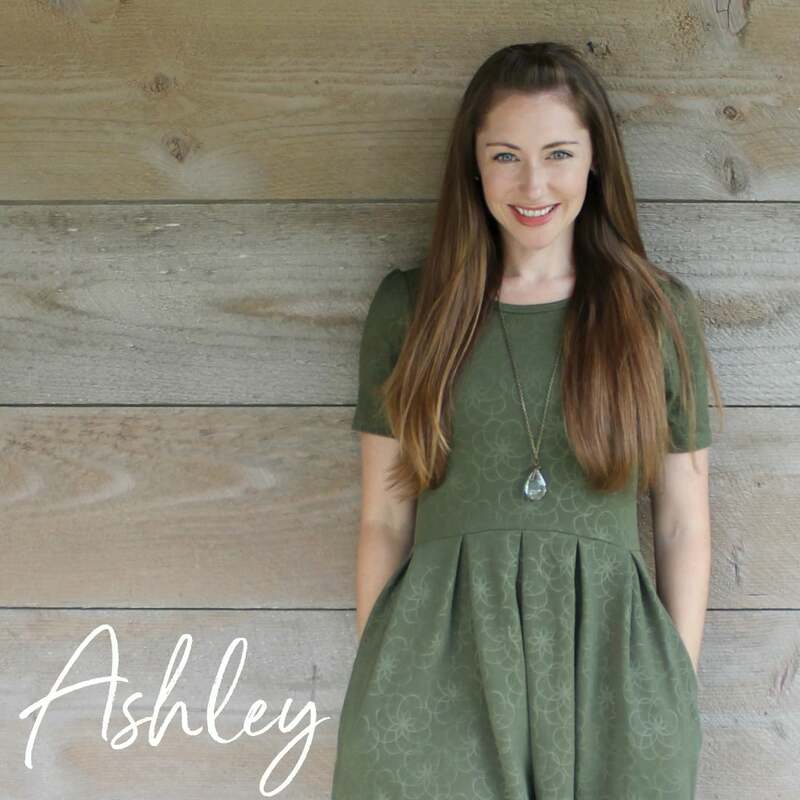 If you missed the first part of this post you can read it here. It’s time for the results for the macrame challenge! So sorry about being a date late posting this, life happens and sometimes blogging has to wait. I’m here now though, so lets talk macrame. 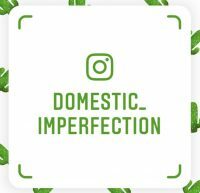 For those of you that missed the previous post, I’m starting a new blog series where I try a project or technique that I’ve never tried before and post about how it went. For this round I chose macrame and I challenged y’all to join me, try macrame for yourself, and come back and share the results. I have no idea how this is going to go and if anyone is going to participate, it may be a total flop. That’s okay…we’re trying new things, right? 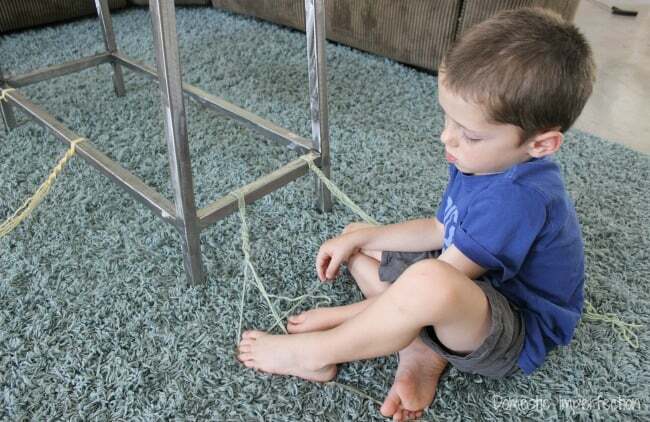 I made learning macrame a family affair, and the boys were actually really interested. We started out watching some videos on youtube to figure out how the heck to tie different knots. This is the video we watched, it’s the best one I found. After watching the knot tutorial a few (dozen) times, I pulled out my stash of yarn and we got to practicing. The boys actually did really well, though they lost interest well before they finished a project. So the first thing I made was the plant hanger, which I made on the way to the beach last week. We loaded everyone up in the car for the three-hour journey, and after all the boys were zoned into a movie I looked at Adam and declared “It’s macrame time!”. He rolled his eyes and I proceeded to measure arms length of cord as dramatically as possible just to annoy him. Ahhh, marriage. For the wall hanging I didn’t actually follow a pre-made pattern, I just started knotting and this is what I came up with. It’s just two different types of knots, the square knot and the half hitch. I really wanted it to be wider, but I underestimated how much rope it took to make something like this and ran out. It’s not perfect but that’s okay….my kids were super impressed so I consider it a success. Anyway, that’s my experience! I actually had a lot of fun with it and would love to make more in the future. Enough about me though, I want to hear about your projects. How did it go? What did you make? Was is fun or infuriating? I’m curious to see how many of you tried this project, because Adam and I have a bet going. He says it will be less than five because “macrame was a weird thing for you to choose” and I say it will be more. So get to sharing people! I did macramé for years when my children were young and at home in the late 70’s early 80’s. I made a huge pink mirrored plant hanger for my mother-in-law, smaller plant hangers, towel hangers, etc. I still have the Christmas door knocker I made in macramé using ceramic blocks that spell out noel. It has jingle bells on the bottom. 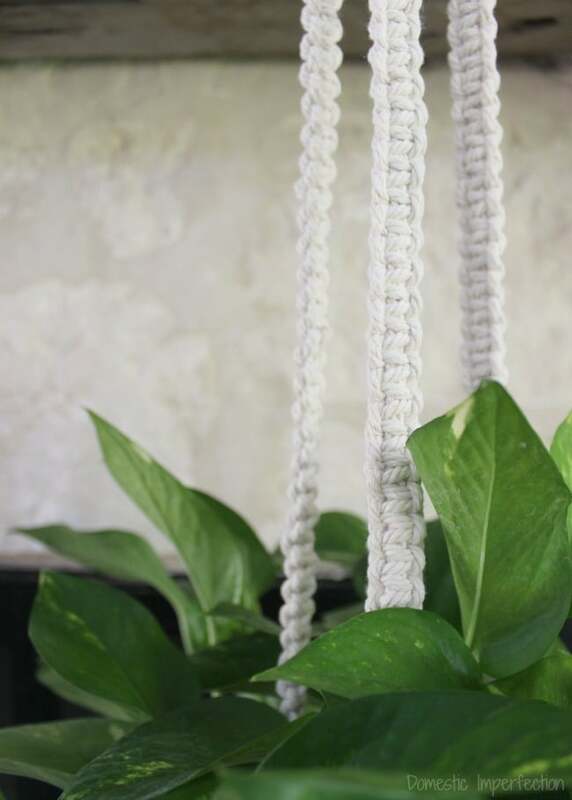 It doesn’t take long to become proficient in macramé, but you really do have to love it. It’s definitely time consuming. Those projects sound pretty amazing! I really enjoyed trying macrame, but you are right about the time consuming part. I would love do more but free time is a little hard to come by right now. Maybe the next time we drive to the beach I’ll make another plant hanger, it was the perfect craft for a long car trip! I wanted so much to do this project with you, but we’re ‘between employment opportunities’ and I couldn’t get the cord I needed. If I do it as soon as I can, I’ll come back and share my results. Your results look amazing! Excellent work. 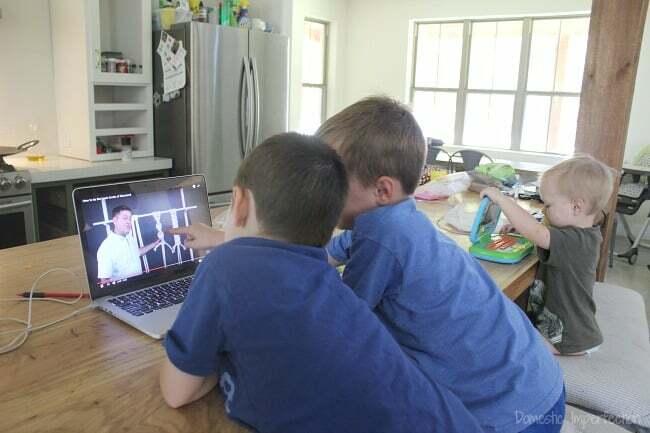 And that was a neat idea to get the boys involved. You know something that macrame works well for, that I haven’t really seen much on Pinterest? You can use it to cover naked cords. (Like electrical cords.) It’s prettier to look at a long, knotted macrame piece than a naked cord, in some cases. Yes you can with a series of square knots. I did it for hanging light I made back i the 70’s. I like the idea of putting it over electrical cords, that would be very simple and pretty. If you do get a chance to try a project I would love to hear about it! Back int h 70’s I did lots of macrame. One wall hanging I did was of a scene of a sailing boat. Not an easy project! Wow, Rose! That’s sounds intricate! You can tell Adam you had at least one project follower! I’m in the process of de-cluttering for an upcoming move, so I didn’t make a big project, but I did some macrame “jewelry.” It turned out pretty nice! I loved the article and the change! What Youtube videos did you watch? Can you share the links? That is so awesome! I’ve always been a knitting in front of the TV kind of gal- it’s nice to be doing something with the hands while you watch. Would you say macrame is easier than knitting? Yes, I think it ‘s easier to learn macramé. I am self-taught. Never have learned how to knit. 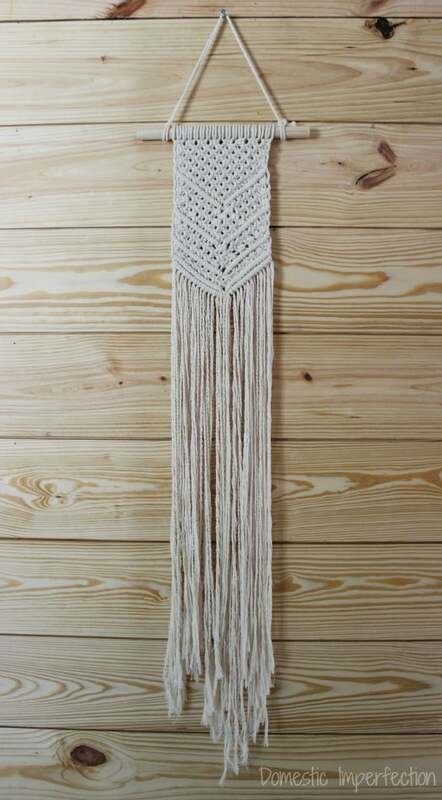 I haven’t done macrame in years and have been thinking about making some hanging tables for our back patio …. Thinking I need to get going now! Thanks for the inspiration! We are a Navy/Marine family and have lived various places (14 moves in 20 years, actually). A long time ago – 1978-1979 – we were stationed in California. Our housing was built in the early 50s at least, possibly older, and the cabinets were few in the kitchen. There were 3 uppers, to be exact, and ONE drawer in the entire tiny kitchen. One of the uppers was installed upside down, and it was obvious that the door pull was screwed on before the cabinet was put on the wall. I am 5′ tall, and there was no way I could reach the handle. So, my husband made a macrame pull for me so I could jerk the door open and actually access the cabinet. 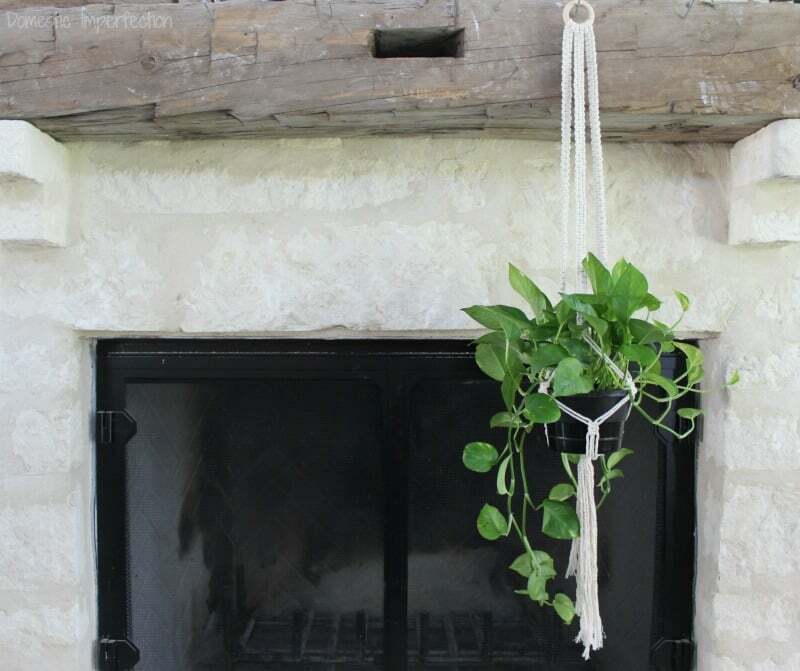 So – macrame is not just for decoration – it can actually help you around the house!! Have fun with it. I love doing knitting. I make varieties of them. Are you sure, macrame is better and easy as knitting? If your love is for knitting, then that’s what will make you happy. 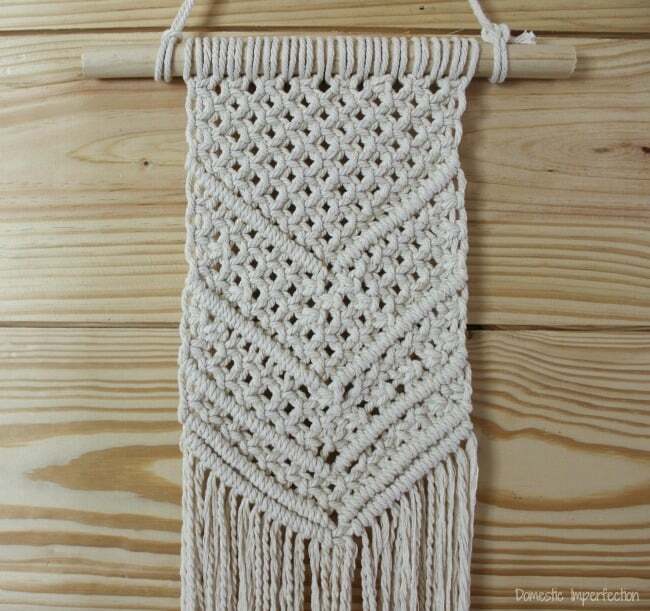 You could try macramé just to see if you like it. It might be something to add to your crafting. This is an awesome project! I think I may have to try this out some day. Thanks for sharing! P.S. Have you ever tried to crochet a blanket? I feel like you would really enjoy that!